Drinking yogurt is categorised as a stirred yogurt of low viscosity, which is consumed as a refreshing drink. It is normally low in fat and may include fruit or flavouring. Drinking yogurt has become popular in various forms worldwide in recent years. Yogurt drinks are perfect for the modern consumer lifestyle: being portable, nutritious, easy to consume and relatively low in calories. They can also have health benefits and are easy on the digestive system. 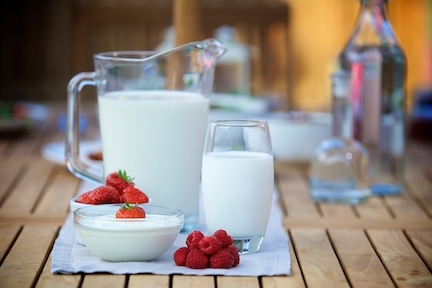 Yogurt drink manufacturers are increasingly taking advantage of our functional ‘clean label’ systems, to deliver protein protection, improved stability and mouthfeel of the drink. A number of approaches can be used to reduce the cost of your yogurt drink recipe and your production processes. Our team at KaTech can advise you on how to create a great product for less.